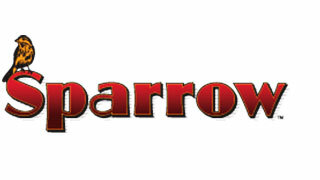 Sparrow Filtered Cigars are flawlessly hand-rolled, premium cigars that are the size of a cigarette and are manufactured by a brand quite well known among cigar enthusiasts across the globe. These appealing wonders use the gentle aging ribbon cut pipe-tobacco for the filler that makes them deliver a superb smoke. One of the biggest advantages associated with them is that their size allows you smoke them wherever only cigarette smoking is permitted. These cigars come in a variety of enticing blends like - Blue Pipe and Original. These delightful blends offer a great taste to these cigars and provide a more balanced flavor profile. The cigars are masterfully hand-crafted using the finest combination of natural binder, wrapper and filler. The technique with which these cigars are rolled makes their smoke even more smooth and consistent. The premium quality tobacco used for the filler gives these cigars a balanced concoction of aroma, flavor and burning characteristics. The pipe tobacco blend is prepared with utmost dedication and the smoke it gives out has a strength ranging from mild to medium, both of which tingle your taste buds with their smoothness. With a length of 3 ⅞ inches and a ring gauge of 20, these USA classics fit perfectly for any occasion and any hour of the day. The cigars are available in attractive cartons containing 10 packs of 20 each and are very affordable.